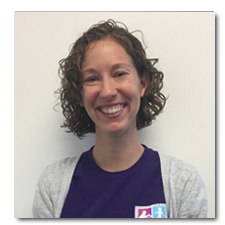 Leanne is a Maryland and Nationally certified Speech-Language Pathologist who has been practicing since 2012. She has a wide range of experience and background knowledge working in the Florida school system, private practice, and medically fragile daycares working with children with of various complex medical and language needs. Leanne enjoys working with children with complex medical histories, feeding disorders and early language needs. Leanne incorporates play-based therapy approaches and regularly consults and partners with Occupational and Physical Therapist on staff in order to facilitate a whole-child approach.